BIAFREXIT IS SACROSANCT: BUHARI’S HATRED FOR BIAFRANS CAN'T STOP IT. 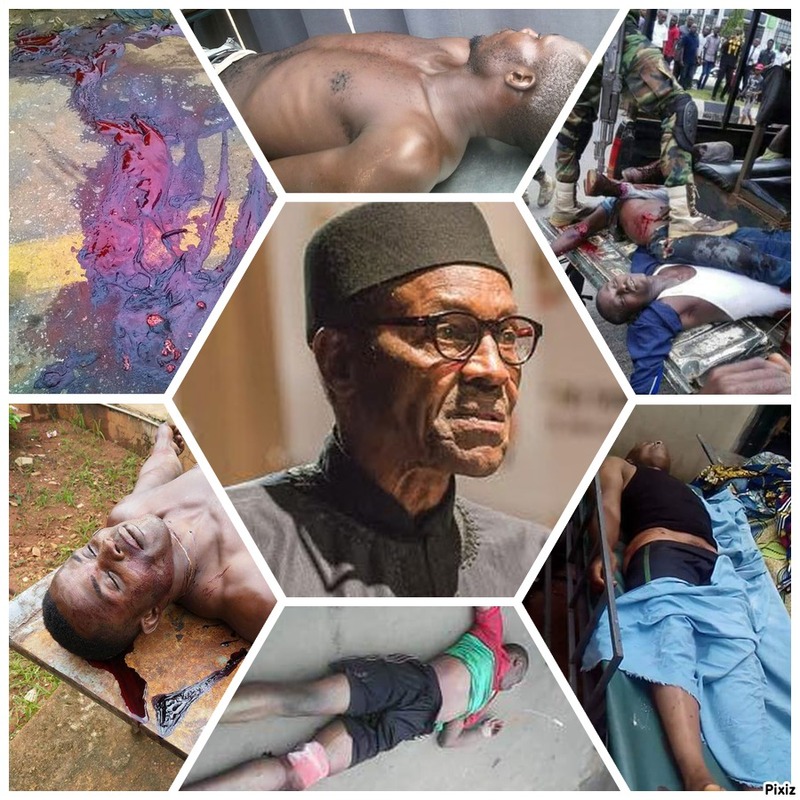 That the blood thirty President of Nigeria popularly known as African Hitler Muhammadu Buhari (AHMB) hates Biafrans and will not hesitate to continue in his government planned and strategic killing and maiming of Biafrans is well known to all and sundry. However, what may not be known to all is that AHMB hatred for Biafrans did not start today. As far back as 1975 he (AHMB) had aided various efforts geared to deliberately stifle the resurgence of Biafrans into finding their feet in the country after the end of the Nigeria – Biafran war in 1970. It may interest you to note that in 1975 Buhari was a member of the Supreme Military Council of the regime of the government of Nigeria. The Military Council of that regime happens to be the highest decision making organ of the government. It’s on record that immediately the regime settled down for business of decision making and under the supervision of AHMB and his cohorts in the Council, that the Military Council dispatched to then East-Central state a mandatory Military Pro-consul in the person of now late Colonel Anthony Aboki Ochefu whose given assignment was the dismantling of the East-Central State Public Service. RELATED ARTICLE: BE NOT DECEIVED: BIAFREXIT IS NO DIFFERENT FROM BREXIT: BIAFRA MUST GO! To achieve this assigment, Colonel Anthony Aboki Ochefu had for good measure declared that the MAINFRAME COMPUTER of the Eastern Data Processing Center (which records confirms was the first of its kind in the African Continent, long before the IT current craze) was unnecessary madness, beyond the needs and the interest of the state in particular and ‘’Biafrans’’ in general. That action so delighted AHMB that he personally supervised, in conjunction with the Military Pro-consul of the East Central State deliberate stripping, summarily dismantling and the relocation of the computer to Ahmadu Bello University in Zaira, Kaduna State where it found needful and sane home which only resulted its waste till date as it was not put to any use. A classic example of it is better that it is wasted in the north than to be useful to the AHMB hated Biafrans. The data computer and center was strategic to the economic and overall planning of developmental needs of the Biafrans after the bitter civil war. Similar Scenario equally played out following the AHMB planned, led and executed coup of December 31st, 1983. Mind you that the coup was primarily carried out to thwart any possibility of Chief Alex Ekwueme the then Vice President who incidentally is from Buhari’s hated Biafra land from taking over at the end of Shehu Shagari’s regime. The very first thing AHMB did was to appoint his own Military Pro-consul, in the person of Bridadier Ike Nwachukwu formerly known as Omar Sanders (a hawkish and a humbugic military officer who played active role in the massacre of his supposedly fellow Biafrans during the Nigeria – Biafra civil war). Again, his assignment: dismantle the gains made in Imo State under then Governor Sam Mbakwe. READ THIS TOO: EU WITHOUT UK; WHAT DOES IT MEAN TO IPOB?...VICTORY IS CLOSE AND BIAFRAN FLAG MUST BE RAISED UP! As expected by the Biafrans in the know, Ike Nwachukwu’s first declaration, under what he called ‘’Imo formula’’ was to dismantle the 42 industrial establishments (geared towards massive employment of Biafrans) embarked upon by Sam Mbakwe, which were at various stages of completion, and financial commitments settled. 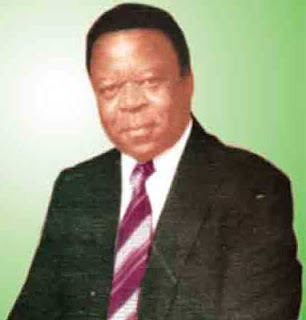 Of course, Ike Nwachukwu’s major achievement throughout his reign in the state was to consolidate the Imo State University under a single campus at Uturu, near his country home, from the 5-campus planned design which the government of Sam Mbakwe had envisioned after the model of the State of New York University System, evolved into a beautifully designed network of university campuses intended to stimulate strategic, short and the long run development of the state as well as carter for a wider range of students’ needs and skills. Buhari in display of his hatred for Biafrans that have defiled all logic will have the Vice President, Alex Ekwueme (who is of Biafra Origin) of then democratic government that he over threw during his coup of December 31st, 1983 thrown into Kirikiri prison over frivolous corruption accusation while keeping the man at the helm of affairs of the government then President, Shehu Shagari who incidentally is a fellow northern extraction with Buhari under house arrest. Buhari in continuation of his hatred for Biafrans will go ahead to arrest and detain the leader of the defunct Biafran republic, Dim Chukwuemeka Ojukwu who has never been part of any Nigerian government of corruption charges. Sam Mbakwe who till date remains one of the finest leaders that the East has ever produced was equally not spared of AHMB hatred of Biafrans’ arrest and detention. Between May 29th, 2015 till date during his second coming as the ruler of Nigeria, AHMB has personally supervised the killing of over 5,000 innocent Biafrans either through direct instructions to the Army to crush and eliminate the "miscreants" order (the miscreants being armless protesting Biafrans) or through covertly or overtly operations via his Fulani herdsmen kinsmen. Buhari who is complicit in the murder of over 2 million Biafrans from 1966 – 70 has also vowed to rather be drowned in same Rivers with Biafrans than to let them exit the country via a referendum. One is now left to ask: Why does AHMB want the continued stay of Biafrans that he has demonstrated enough hatred for through his actions and policies over the years in same Nigeria? Is it because he loves the shedding of Biafran bloods or because he loves to see them weep? Is it not hypocritically that Buhari who hailed the out-going Prime Minister of Britain for his courage in listening to the wishes of his people who had voted to exit EU has not summoned same courage to listen to Biafrans and organize a referendum where Biafrans will have same opportunity that the British had to decide if they wish to stay in same country where characters like Buhari has supervised their killings and maiming or if they will want to exit the contraption called Nigeria. No matter what happens,African Hitler Muhammadu Buhari [AHMB] must know that his hatred, killings, maiming and threats of getting drown with Biafrans cannot stop the coming of the Biafra as her exit from Nigeria is sacrosanct.